I love experiments. 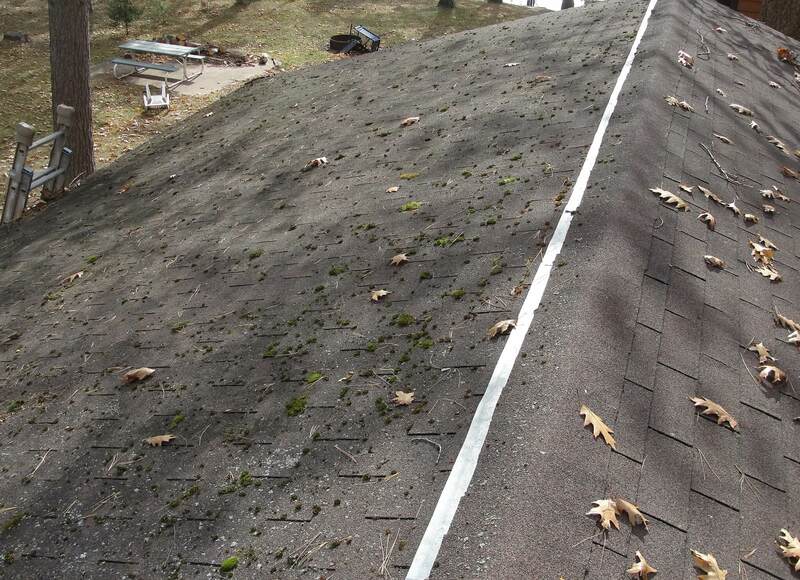 Reuben Saltzman, a Minneapolis MN home inspector is doing "A semi-long term experiment: zinc strips on a moss covered roof"
Have you run into moss on your roof? I would think it would be more common in MN and cooler northern states in the Great Lakes area than in Ohio but I have seen it here on homes with a lot of tree cover. We certainly get enough rain... Visit home inspectors in the Pacific Northwest's websites if you want to see moss covered roofs. I remember moss on an Old Worthington roof, and I have seen moss on the northside of a Col onial Hill's roof, so I guess moss happens in Worthington and other Central Ohio communities. We do have lots of ugly black algea stained roofs in Central Ohio, a cosmetic issue, according to Reuben. Reuben's first photo of the black algae stains caught my eye. I just noticed on a roof in Columbus that the area under metal vent caps did not have the algae stains. Reuben did a wild and crazy experiment a few years back with ice.... using pantyhose on the roof / gutters. I think Reuben had another roofing experiment where he ran wires along the gutters... I doubt I Re-Blogged that experiment... too scary, even with "Don't try this at home!" warning. Thanks to Reuben for allowing this home maintenance experiment post to be Re-Blogged. Makes me wonder do roofers use zinc strips on roofs for the ugly black algae in our area? While black stains on roofs are a cosmetic issue, moss growth is more than just cosmetic. 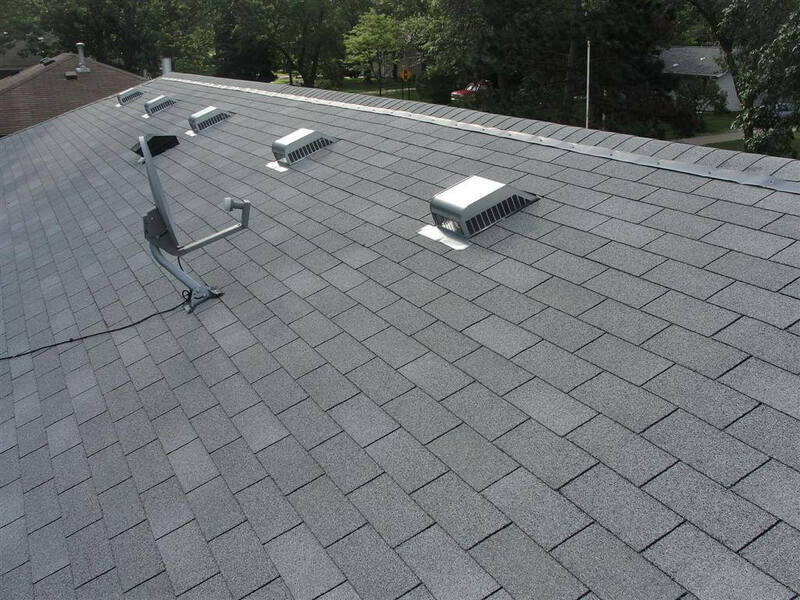 Not only does moss look terrible on roofs, it will also shorten the life of the roof covering and possibly lead to roof leaks. 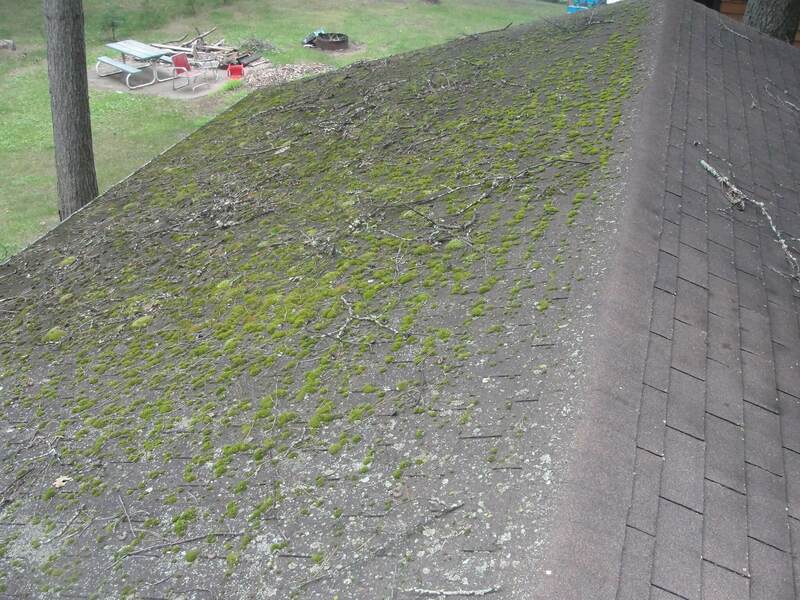 Whether you have wood or asphalt shingles, moss can grow on the roof if it doesn't dry properly. As with black algae stains, the most common place for moss to grow is on the north side of the roof, but if there are enough overhanging trees or other forms of shade, moss can really grow anywhere. 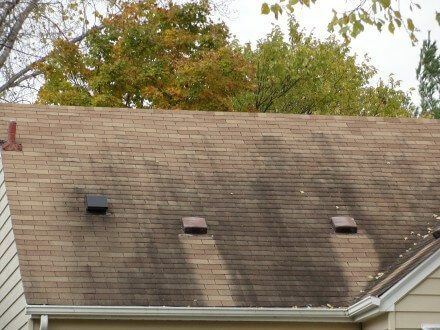 If you want to kill the moss, follow the link above that explains how to remove black roof stains; the process is the same for killing moss. The results certainly won't be as immediate, but it's effective. 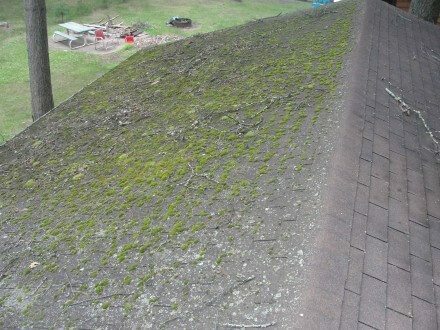 Today, the focus is on what you can do to prevent moss growth on your roof. Have you ever noticed that moss and black stains don't appear on roofs underneath the areas with galvanized metal? The roof stays minty fresh zincy fresh below the vents because every time it rains, a small bit of zinc gets washed off the metal, which runs down the roof and kills whatever is growing on the shingles - whether it's moss, algae, lichens... whatever. If this is so effective, doesn't it stand to reason that you could install strips of zinc along the top of the roof, and have them protect everything? Of course. You can actually buy rolls of zinc made just for this purpose. The 50' roll of zinc pictured below was about $25 at Home Depot. 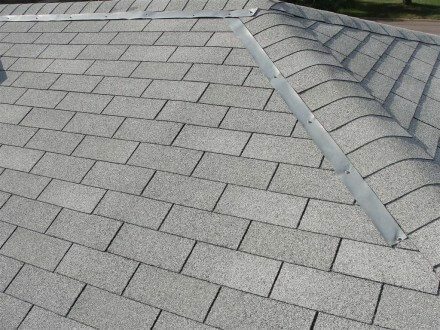 The zinc is supposed to be installed at the ridges of the roof, or along the hips as needed to make sure that the rainwater washes zinc down the roof. I've heard many roofers say that these zinc strips are worthless and ineffective, so I decided to conduct my own semi-long term test. For my experiment, I installed a zinc strip along the ridge of a moss-covered garage roof approximately sixteen months ago. I didn't do anything else to this roof - no scrubbing, no chemicals, no nothing. The before and after photos are shown below, and I think the results are pretty conclusive - zinc strips are effective at killing moss. That's a pretty dramatic difference, isn't it? I cleaned up the roof a bit before taking the second photo by using a leaf blower, but that was all. 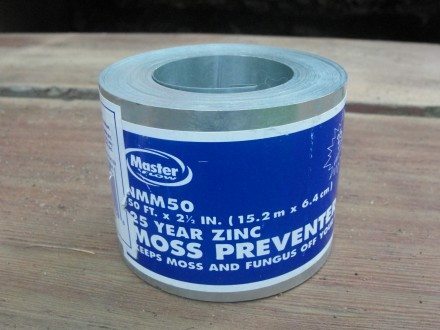 Remember, I applied that zinc strip to a roof covered in moss just to see what would happen; zinc strips aren't supposed to be used as a moss remover, they're supposed to be used as a moss preventer. If you're not in any hurry, they'll apparently remove moss too though. 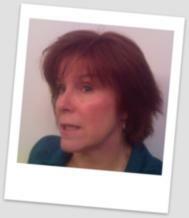 As they say, individual results may vary. 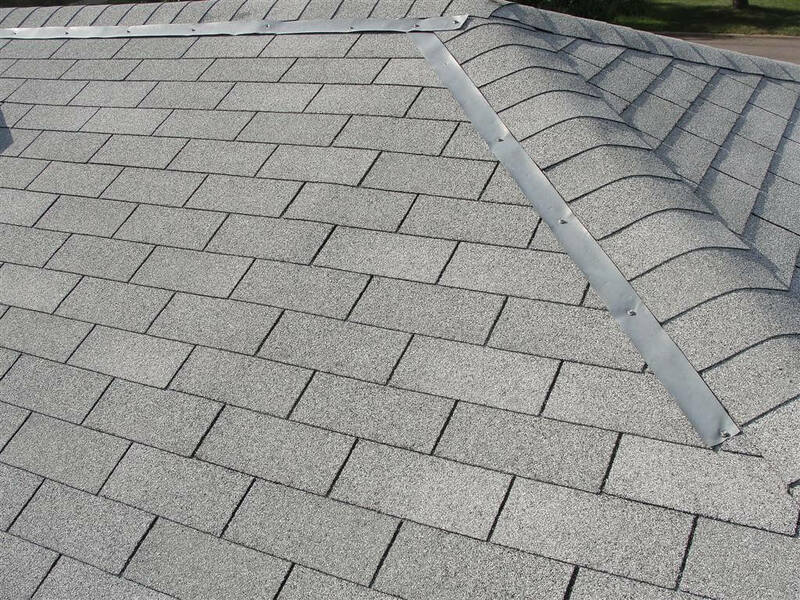 Zinc strips might not work for every application, but they're not terribly expensive, and they're not difficult for a roofer to install. 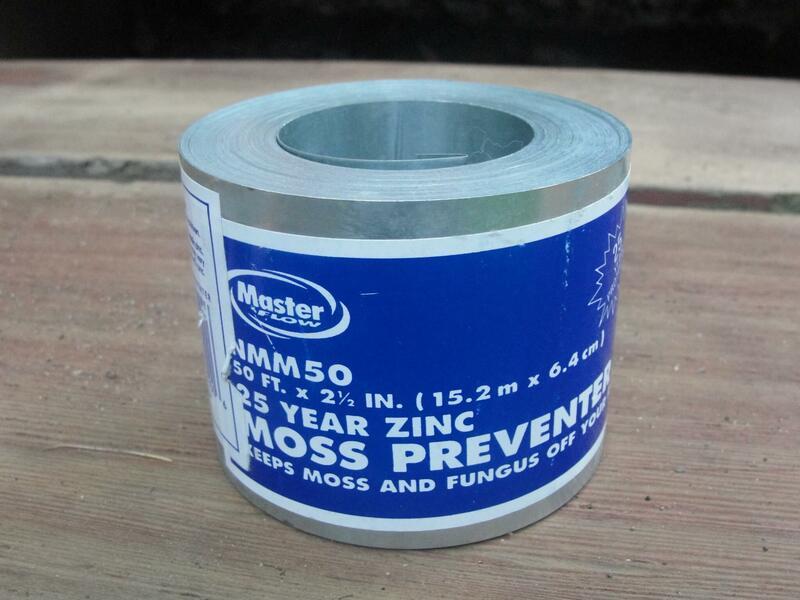 If you have an existing roof with a moss problem, try zinc strips. Copper strips are supposed to work the same way. Zinc strips are also supposed to be effective at preventing black stains from showing up on the roof. I'm starting a long-term experiment on my own house; I'll report back with the results in a couple years. 8 Painting Tips to Get You Started!! Don't Trim Those Toe Nails! In Worthington… What Do THOSE Blue Signs Mean? NEVER Pressure Wash A Deck!